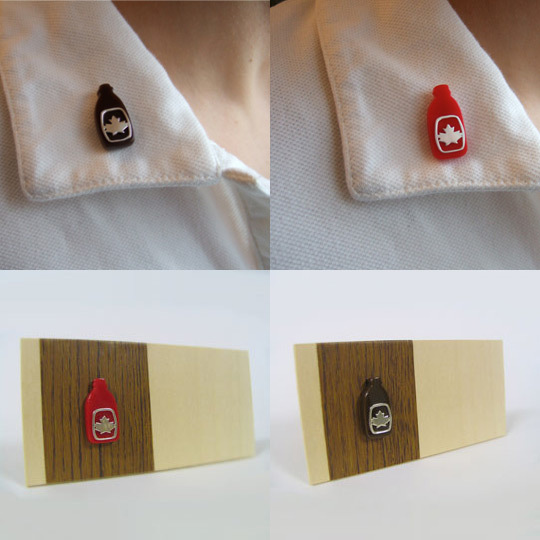 As i sit here in Toronto airport waiting to pop back over to LA ~ i’m sorting through MANY pictures, and how much i *could* post while i wait… first to really grab me ~ the playfully Canadian oriented jewelry of Anneke van Bommel that i encountered at The Souvenir Shop, she manages to simplify national pride down to simple cheeky iconic jewelry pieces… from these various wood/silver antler rings, to stubby beer pins, crossed axes, and more… (see lots of pics below!) 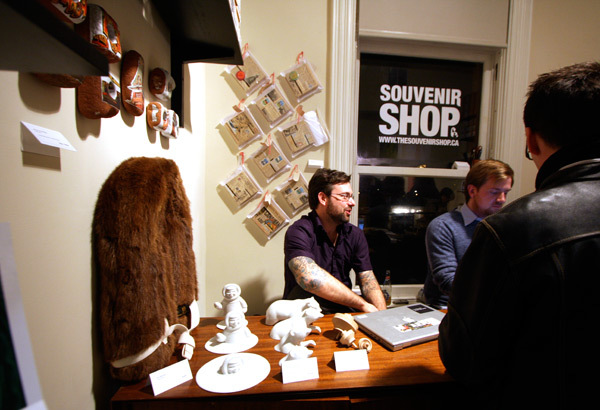 The Souvenir Shop is one of the best collections of exclusive limited edition Canada oriented design pieces i ran into, which was unfortunately at the Gladstone Hotel within the Come Up To My Room Exhibition where artists took over rooms on the 2nd floor, and honestly, you didn’t miss much, because there were some of the rudest, most obnoxious people manning the door and their store ~ so luckily you can shop the wares online! 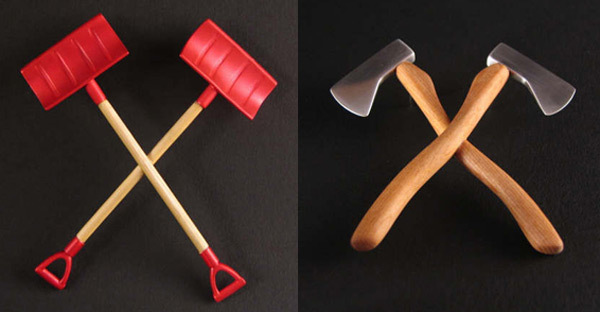 Looks really cool but not sure if they will classify this as dangerous accessories? 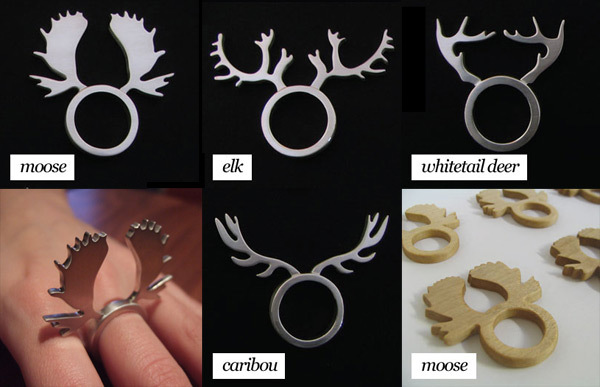 the wooden moose ring is amazing thanks for sharing! 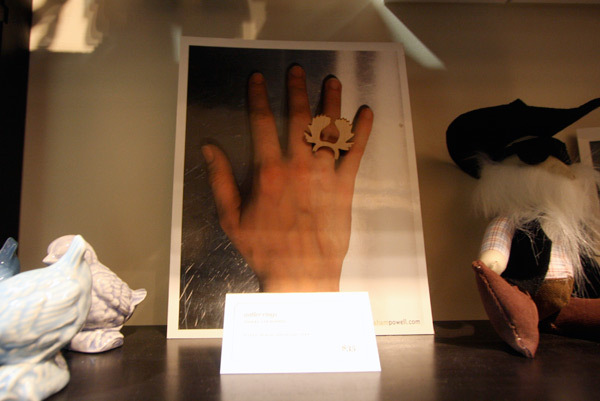 Those rings are really interesting - what a creative idea - and a perfect souvenir (even if a little impractical)! Anneke was my teacher at George Brown College. I’m excited to see her work featured here!